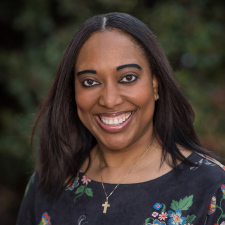 Cassandra Harvey is the founder and president of Exodus Consulting Group, which specializes in providing strategic organizational and human resources consulting services. Sandy, as she is known by many, has provided Coaching, Diversity, and Leadership training, for organizations throughout the US and Canada for Fortune 500 companies. She has consulted for multinational companies, as well as small businesses and focuses on culture, engagement, and strategic growth. As an organizational development consultant, she is skilled at implementing systems and processes, writing policies and procedures, developing and implementing strategic human resources and training plans. Diversity has always been a passion for Sandy. She grew up playing soccer in the early 70’s with few girls and even fewer African-Americans and understands that many behaviors that divide us are actually learned. Sandy was 2001 graduate of the Blueprint for Board Service, a program sponsored by the United Way of Tarrant County and the Hispanic Chamber of Commerce. This program was to develop diverse professionals for Board service. As an advocate for equity and women’s initiatives, Sandy brings light to this issue through articles, public speaking, and through her Diversity training. She is a voice that heralds dignity and respect. As Sandy has navigated her career, she has served in senior leadership and executives roles in various industries. In the early 2000’s, Sandy was a Diversity training consultant for Coca-Cola and provided training for employees in Michigan and northern Ohio. She has been certified, or is able to administer, many popular organizations – Myers & Briggs, American Management Association (AMA), AchieveGlobal, Franklin Covey, J. Howard & Associates, and Development Dimensions International. A proud native Texan, Sandy has an BA in Business and an MBA in Organizational Management from Texas Wesleyan University, and a MA in Evangelism & Church Planting from Liberty Baptist Theological Seminary. Sandy began serving as a Board Member on the Michigan Diversity Council in 2011 and also chairs the council’s Women in Leadership Symposium annually. Sandy is an ordained minister and pastor at Serenity Christian Church, where she leads the Marketing & Media ministry and Women’s Ministry. In 2006, she founded Heart to Heart, which is a women’s fellowship created to empower and encourage women to attain their best life. She is president of Serenity Community Outreach, a 501(c)(3) committed to community involvement and development in Southern Oakland County. She is a recognized New Church and Transformational Church Coach, where she coaches new pastors and church leaders or pastors that are seeking support in transforming their ministries. She resides in a Detroit suburb with her husband, Apostle John Harvey, senior pastor and founder of Serenity Christian Church.